Today is World Bread Day 2016, time for me to bake a fresh leaf of bread and do some writing in English. The first part is easy in comparing to the second part…. However, I am willing to try it. For the World Bread Day 2016 I baked a Caraway Bread. With this bread, I connected some great memories from my childhood. Caraway is not everybody’s favorite kind of spice, but I like it very much. Slightly crash the caraway. Mix flour, salt, concentrated pear juice, caraway and dry yeast in a bowl. Give in the water and knead to a smooth dough. Cover the dough and let it rise to the double. Form the dough into a loaf. Let it rise again for 30 minutes. In the meantime, preheat a cast iron pot in the oven by 240 degrees Celsius. Bake the bread for 45 in the covered pot. Remove the lid, lower the heat to 200 degrees Celsius and bake it another 15 minutes. Remove the bread. Knock on the bottom, when it sounds hollow it’s done. Let the bread cool. *“Ruchmehl” is specially known in Switzerland. “Ruchmehl” contains a larger proportion of the outer shell layer than with flour. It can be compared with the Type 1050 flour in Germany. Den Kümmel leicht zerdrücken. In einer Schüssel Mehl, Salz, Birnendicksaft, Kümmel und Trockenhefe vermischen. Das Wasser zugeben und zu einem geschmeidigen Teig kneten. Den Teig zugedeckt um das Doppelte aufgehen lassen. Einen Gusseisentopf im Backofen auf 240 Grad aufheizen. Aus dem Teig ein rundes Brot formen und das Brot nochmals 30 Minuten aufgehen lassen. Das Brot im Topf für 45 Minuten mit geschlossenem Deckel backen. Den Decke entfernen und die Temperatur im Ofen auf 200 Grad reduzieren und das Brot ca. 10 Minuten fertig backen. 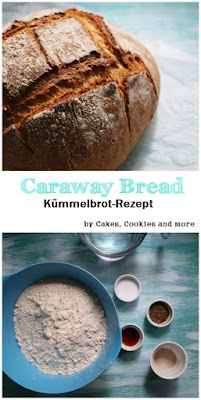 Auf den Boden des Brotes klopfen und wenn es hol klingt ist es fertig. 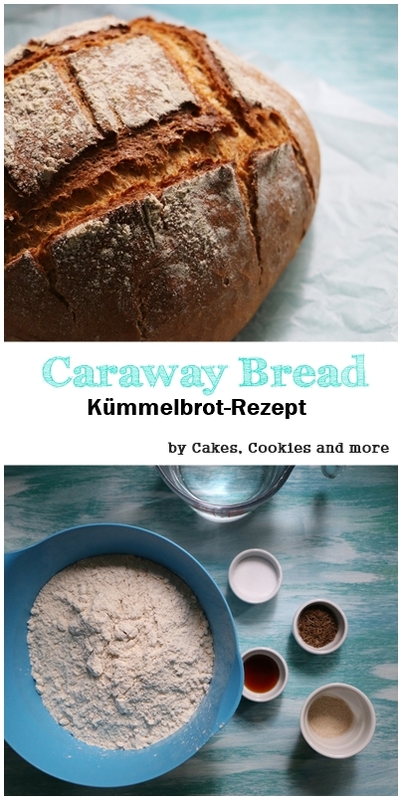 Das Brot auskühlen lassen und geniessen.